Certainly, there is a sense of relief, which both my dad and I admit to, that she isn’t suffering anymore and that having to deliver her total care has ended for him. This care was something she would have died way sooner without and I think she knew it and it was also something for which she was, I am sure, grateful. She was often too humiliated at needing it though, to be able to express gratitude. She was often irritable due to her limitations and combined with the shame she felt she was often unable to exchange even the kinds of pleasantries with my dad that you would to a stranger for caring for you. My relief also came from not having to watch these painful dynamics play out between them. The real reason for my experience is not that I am a Vulcan. Not numbness either. Nor is relief primarily responsible. The truth is my mother had been lost to me for so long that when people have acknowledged the loss recently it often felt like they were talking about a loss that happened long ago. Not unlike if someone had come up to me and said, sorry about your grandma (who I lost 44 years ago). Chronic pain had long since taken her from me. In fairness, the hearing loss compounded her absence sometimes as much as the pain itself. But if she had not been frozen in place by unrelieved pain making every step and interaction a tortured effort, I would have shouted till the pictures she had painted in her younger days shook on the walls to engage her in more activities. Not only did the pain make her unable to leave the house, even to go to dinner in a restaurant with us, the pain made her unable to draw or paint anymore too. While I know she had her pleasures as I spoke of in my previous blog – from the Mets, to Facebook, to a bowl of ice cream at night (damn the torpedoes) – she could no longer hold a brush or pastel long enough to express herself artistically. Chronic pain was a thief, stealing her identity from her and in turn stealing her from us. I am waiting for these pain filled memories to fade as I saw happen so often in grieving family members of my cancer patients who had died, and give way to memories of happier times when she was a force to be reckoned with. Seeing what happened to my mother has further steeled me in my pain advocacy. I am angry and hurt that my mother’s medications were taken from her and she from us. In my rage and grief I want to call out and discredit every over simplified “solution”, every law, every bit of rhetoric that distorts the truth, dishonors her and threatens to bring the same loss and pain to other people and their families. I want to expose those who purposely stain pain management, who seek to humiliate pain practitioners and people with pain. I am not alone in feeling this way. For so many on the anti-opioid side of the raging national debate also have staked out their positions because of loss. Some of the most vociferous among the anti-opioid advocates have lost children. Others have lost spouses and siblings and assorted family members. They have lost friends too. Indeed, it is not since the early days of the AIDS epidemic that people of a certain young demographics have known as much loss as some young people in the New England area have known in the past few years due to opioid abuse. Advocacy is, therefore, deeply personal to them, as reflected in the fact that when they have created foundations and charities to enable their efforts, these often bear the name of their lost loved ones. In their lost ones’ names they want to change the state of affairs. They want to dedicate their every remaining day to honoring their child’s memory by calling out and discrediting every over simplified opioid-based message, every overly liberal law, every bit of rhetoric that they feel distorts the truth, that dishonors their lost one and threatens to bring the same loss and pain to other people and their families. They seek to expose those that they believe bring death and destruction to the lives of innocent young people and their families. We are all of us on both sides of this debate, united in our grief. This is a remarkable fact, for we are otherwise more divided than red and blue states, agreeing on very little. There is however something very important to understanding this about one another – that we are all ethical people, motivated by real humanity and empathy and fighting for the good of others in the name of those we have loved. So if we all believed this, would the effort to shame one another or leaders on both sides of the debate cease? Would we listen better? Would we be less apt to question one another’s motives? Would we temper our efforts? I am sure that my advocacy is not so extreme that I would want to remove all recently erected barriers to opioids to help some and discount possibly harming others. Would an anti-opioid advocate admit that it doesn’t honor their loved one’s memory to fight so absolutely against opioid availability that they are causing pain and suffering in people like my mother. In the name of a person who died is inflicting pain and loss that mirrors what the person and their survivors experienced really the goal? I am not only steeled in my advocacy I have also been made more acutely aware of the amount of loss and grief that is running through us. I suppose I have been very emotional since my mother died after all. We all need to recognize this about ourselves and I am pretty sure if we do and begin to work together, one-sided approaches will be the causalities, not people with pain nor people with problems of drug abuse. Then we will all be in a better place. Your story touched me more than I can say. I see my daughter writing this, but about my suicide. I am not 80, I am in chronic pain and have several conditions causing it. The new drug laws are making it impossible to get medication. I am tired of being treated like a drug addict, tired of being in pain, tired of being treated by Dr’s too afraid to loose their license and or have no compassion to prescribie medicine for pain sufferers. I suffer from a rare genetic disease that has stolen my ability to do more than get out of bed to go to the bathroom. My husband of 37 years has been incredibly kind and loving all our lives and has advocated for me many times because I am too ill to do it for myself. I live in Florida where the DEA has made it almost impossible to get my prescriptions filled because they simply don’t have the pain relieving drugs available. Every day I pray for others in the same boat as me. Your story touched me deeply and when I asked my husband if he felt I’ve long been stolen from him, he voiced an immediate “Yes!” Which broke my heart. My pain doctor is wonderful and yet he cannot prescribe what I need to live even a remotely normal life. Nevertheless, I’m grateful to be alive. Thank you for your beautifully written testament to your experience. Like you, my husband and I wish that pain management could be had, and that families didn’t have to experience the pain of a loved one in constant agony. I find myself wishing lawmakers could experience the pain we endure for just one week–maybe then laws would change. Thank you again for your support and beautiful expression of what it’s like to go through the daily battle with horrible suffering.. Your mom sounds like she was an amazing person. Like many things in life we only get one mom. My mom has passed as well (about a year ago) and I miss her often. Amazing moms are a wonderful gift to this world. You being a physician must have had to deal with your own emotional pain due to not being able to intervene for so many reasons. If my mom had been in chronic pain her last years would have been even more challenging. This past Easter I watched as chronic pain slowly led to my best friends demise. We talked about suicide as an option for him often. You see he needed to talk about it but no one else would address these thoughts he was having. When the CDC’s guidelines hit promoting fear from both patients and physicians he decided he didn’t want to go down that rabbit hole. So he asked if I’d forgive him if he “checked out” someday. I said I would & I do. The anti-opioid advocates have over simplified the problems. Many have lost children. My daughter got caught up in the “oxycipontin express” that roared thru Florida several years ago. So much mystery surrounds her death. Accident or suicide ? In the end dead is dead wether it was an accident or intentional, she’s still gone. I understand many abusers of narcotics are manipulative and hide themselves among honest chronic pain patients. Leaving it up to physicians to be chameleon detectors. I’m not sure that topic is covered in med school. Before you knew what was happening both patient and physician were looking at each other sideways. I haven’t a clue where this quagmire is going but the losses are mounting on both sides of the coin. And yes both sides have lost a lot, but it’s no longer a cut & dry issue. Untill everyone including me puts their loses aside and adress the chronic pain issue from a realistic stand point, our loses will continue. Dear Steve: When next we meet, you will get the personal embrace I want to give you now, but til then, a more public “hug” in the form of a boundless THANK YOU for your ability to express what so many of us feel. You have translated an intimate loss into a healing message, with pathos, wit and brilliance–your calling cards! I am so very sorry to hear of the loss of your loved one and the horrors of having to watch her suffer day in and day out from unrelieved pain. It is wrong that they made her suffer when there are medications available (or were available) to stop some of her suffering so she could enjoy some kind of quality of life along with her family. We need to come together as a society and discuss these issues because they are complex. It is wrong for them to cause undue harm for the chronic pain sufferer and cause them to suffer needlessly! We must fight as chronic pain suffers to make changes in the CDC guidelines so the chronic pain sufferer can have some kind of quality of life. There is an article saying that in 2017 the government will reduce the production of pain medications. Now they are going after the supply while closing down doctors causing less of demand. However, this does NOT stop the chronic pain sufferers pain and treatment is not the answer since it will not get rid of our pain! The issues of chronic pain sufferers are falling on deaf ears and somehow we must make them listen to our side of the story. 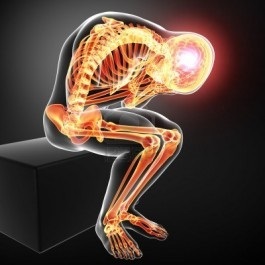 Chronic pain sufferers need opioid medications to have some kind of quality of life! If not, then there will be millions of people who suffer needless and many will die. I want to thank you for being an advocate for chronic pain sufferers. We need more people willing to speak out on behalf of chronic pain sufferers! You and your family will be in our prayers and I will pray that you will find happier memories of your loved one!